Informational interviews are a great and informal way for you to learn about someone and their career. Never Stop Being A Student Of The Business With Informational Interviews. There’s a misconception that informational interviews are only for college students or people just starting out in their careers. That’s simply not true. As professionals we’re constantly looking for ways to expand our skill sets and stay ahead of the curve. Although we’d all like to have mentors who we can go to for advice or just to simply pick their brains, it’s not realistic for all of us. 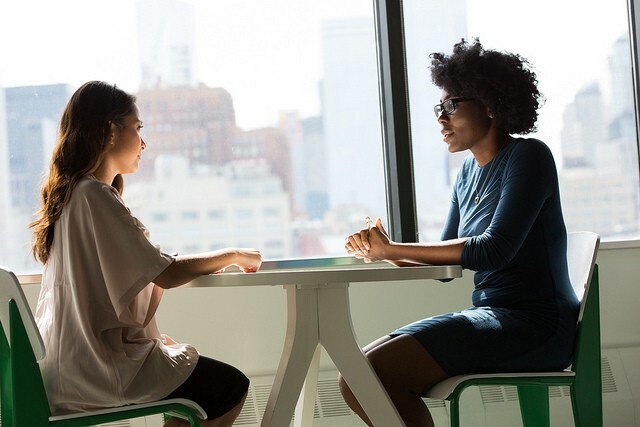 This is where informational interviews can be helpful and provide you with much needed advice and information whether or not you have a mentor. Be clear about who you are and what you want before you even send that first email. Assume the people you’re reaching out to are very busy and likely receive emails like yours ten times a day. When your first email explicitly states who you are and what you’re seeking this gives them time to figure out if they want to speak to you and if they are the right person for you to speak to. You’re also showing them that this won’t be a waste of their time or yours. Do your research! Research them, their company, the industry and field. Your research should provide answers to any basic questions you may have, and will help you create questions that will leave a positive lasting impression. It will be obvious to the interviewee if you haven’t done your research. Check their LinkedIn, their social media feeds, recent projects the company has done that they may have been a part of. Take it a step further and do research on their industry and company. Finding out information about someone and their work is a lot easier than it used to be, utilize all of your resources. Prepare your questions and talking points. Once you’ve scored the informational, write down your questions and talking points in a notebook and bring that with you. There’s no point in having an interview with someone and not taking notes or writing down as much information as you can. This shows them that you’re listening and care about what they’re saying. It also makes your follow-up email a lot easier. Is there something you wish you’d known or a skill you wish you had when starting your current position? Or something you wish you did differently. What’s the biggest challenge for you in this role? What are the core components of the job? What’s the best way to get my foot in the door at this company? How do you see someone with my skillset contributing and thriving in this area? Where do you see the future of this field? What skills do you think will be necessary to thrive in this field? What companies and individuals do you think are doing an outstanding job in the field? Is there anyone else you think I should speak to? Leverage the research you’ve done to personalize these questions even further. Follow-up! The follow-up is just as important as the interview. Follow-up with an email or handwritten note, thanking them for their time, and actionable steps you’re going to take given the things you’ve talked about. End the note asking that if you have any more questions or need any more information they’d be willing to talk again. These three things show you listened to them, that this wasn’t a waste of time, and hopefully opens the door to opportunities and information. The difference between good and great professionals is that great ones are constantly learning and open to growing. Make a goal to schedule 2–3 informationals a quarter and go be great.